First I apologize. Part way through the day my camera quit saving photos and it looks like in trying to download the ones I did get - the storage card got corrupted so I have absolutely no images from today. I have tried to find Google images to fill in. Hopefully I can find a camera store first thing in the morning to sort this out or there will be no pics tomorrow either. For some really weird reason I couldn't sleep last night. Perhaps the fact I was sending out press releases until quite late got me worked up, or perhaps the uncertainty of not having that Metro Pass when I needed to head out first thing in the morning. Regardless, the last time I looked at the clock was 4:30 a.m. and I woke up a little after 8 a.m. SIGH! Who wants to be tired when such an exciting day looms. I managed to get to the bus station in front of our apartment just before 10 a.m. and had 2 crisp $1 bills and a quarter to pay my fare to the subway station. NY Transit and I don't seem to have a good relation here as when I stepped on the bus I was informed they only took coins. My sob story of the closed stations and the broken machine along with the fact I am not young worked miracles as the driver let me on without paying. Another problem arose when I reached the terminal. I did get my pass but turns out the F and A trains were running on the same track and I was told by everyone to get on the A train when it arrived. Now unsure of the stops, I talked to NY'er after NY'er who were all kind and helpful, but who all gave me conflicting advice. I ended up hopping off the subway at 34th St. as the 2 who seemed most knowledgeable had suggested this. But the transfer to the C train proved impossible as I couldn't figure out which direction to go and everyone around me was in the same place I was - lost. I knew my first stop was at 47th and 8th, so decided to do it old school by foot. It was a long walk, but well worth it as at least I knew where I was going. 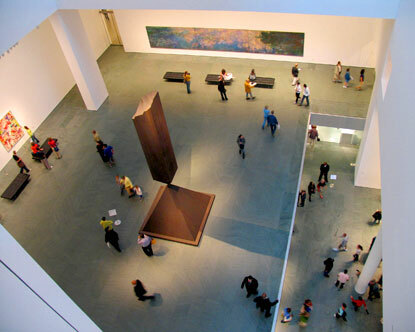 After I picked up my Hop-on, Hop-off Bus pass I continued on foot to my first destination - MOMA, the Museum of Modern Art. There are 6 floors in this amazing art gallery. The 6th Floor is for the changing exhibits, floor 4 and 5 are for the masters and on it goes. If you want to spend a long time here and really dive into the artwork, I would suggest doing the self tour where they give you a digital player and headphones so you can listen to recorded information on the displays. As I only wanted an overview of NYC this time, I just took the elevator to the 6th floor and walked through all the displays on the way down, pausing at the few artworks that really jumped out at me. I learned there were a few Masters I didn't like in the past that were transformed before my eyes when I saw their paintings face-to-face. It was remarkable. I had packed my own lunch and found the outdoor sculpture garden on the first floor the perfect place to take a break. Then a quick tour through gift shop was in order where I picked up a pile of small items for friends and family. After the art gallery it was time for a change of pace and I hopped on the Uptown Loop tour bus that went through Time Square, Broadway, Hell's Kitchen, Harlem (including the Apollo Theater) and Museum Mile. The first part was interesting to see, but the tour itself had a lot of standard trivia. It was as we moved into the older areas that I began to learn a lot of interesting facts. 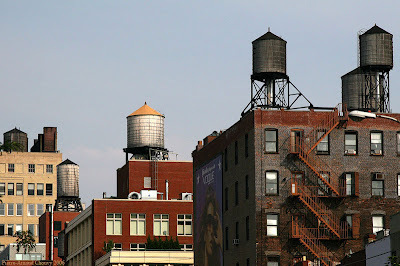 One that really struck me was the water towers that could be seen on top of many of the older buildings. Turns out the water pressure in NYC is terrible and can only take water up 50 feet. The solution - water is pumped up to the top of the buildings into these large holding tanks which keep the pressure up for things like showers, taps and water sprinkler systems. 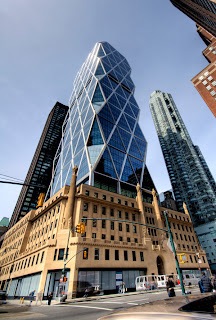 Another detail that caught my interest was the Hearst Tower. The 6 story base of the building was built in 1928. The new tower on top was built 70 years later. It was the first "green" high rise office building. On the tour I learned that rain collected on the roof is stored in a tank in the basement for use in the cooling system, to irrigate plants and for the water sculpture in the main lobby. Further internet research when I was back at the apartment was even more intriguing. The floor of the atrium is paved with heat conductive limestone. Polyethylene tubing is embedded under the floor and filled with circulating water for cooling in the summer and heating in the winter. 85% of the building's structural steel contains recycled material. 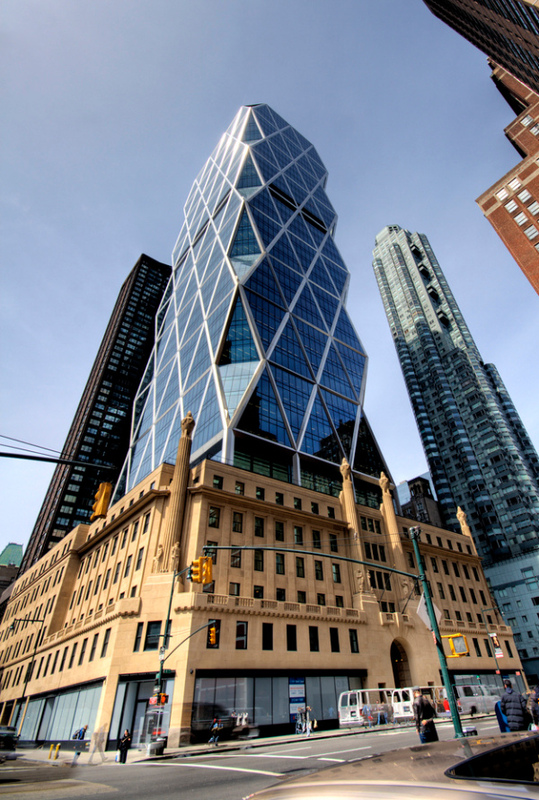 The building has been designed to use 26% less energy than the minimum requirements for the city of New York. 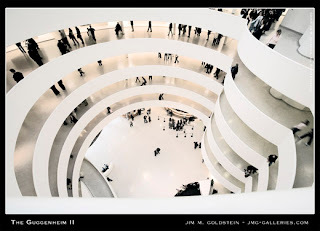 Near the end of the tour I decided to stop in at the Guggenheim Museum designed by Frank Lloyd Wright. While smaller than MOMA, I really enjoyed my time here. You can either take the elevator to the 6th floor and stroll down or start at the bottom and work you way up. One single ramp spirals from the bottom up with artwork along the way and small side galleries offered at different levels. After this long and very hot day out I was happy to get back to the apartment to put my feet up, have a drink and enjoy a leisurely supper compliments of my shopping trip at Trader Joe's. I hope I have a good night sleep tonight so I can get out a little earlier tomorrow. 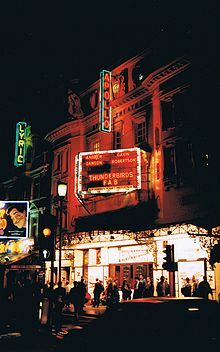 I am want to explore the south end of Manhattan which includes Soho, Greenwich Village, Little Italy and China Town. There is also a nice harbour tour awaiting me courtesy of my City Pass.